On Monday the United States Supreme Court issued a decision in Sandoz, Inc. v. Amgen, Inc., relating to the Biologics Price Competition and Innovation Act of 2009. The first question presented by these cases was whether the requirement that an applicant provide its application and manufacturing information to the manufacturer of the biologic is enforceable by injunction. On that first issue the Supreme Court concluded that an injunction is not available under federal law, but we remand for the Federal Circuit to decide whether an injunction is available under state law. The second question was whether the applicant must give notice to the manufacturer after, rather than before, obtaining a license from the FDA for its biosimilar. The Supreme Court concluded that an applicant may provide notice before obtaining a license. Perhaps not surprisingly, my take on the case is that the Supreme Court got this case wrong on both issues. The manufacturer has a right to obtain manufacturing information from the applicant, as is required by the statute, but in the infinite wisdom of the Supreme Court there is no injunction available for a violation of the statute, which makes for a rather toothless requirement that effectively nullifies the very purpose of the statute. As for the second question, I’m left wondering what exactly the applicant is supposed to provide notice about if notice can be provided before the license is obtained. Clearly, any objective reading of the entire statutory framework envisions notice to be provided after a license has been obtained by the applicant, not before. In order to provide a broader perspective on the importance of this decision I’ve reached out to a panel of experts with specific knowledge and experience dealing with biotechnology related patent matters who have been following this case. The perspectives of these industry experts follows. In Sandoz v. Amgen, the Supreme Court addressed the “plain language” of a “carefully crafted and detailed enforcement scheme” relating to “biologic” drugs. Under this complex statute that was enacted as part of ObamaCare as an effort to get generic biosimilar and interchangeable biologic drugs on the market quicker if the patent hurdle can be overcome. In a unanimous decision, the Supreme Court vacated, reversed and remanded yet another Federal Circuit decision. Even when the Supreme Court agreed with part of the result arrived at by the Federal Circuit, the Court nevertheless felt obliged to explain why the Federal Circuit had the wrong reason for the correct result. By rejecting the availability of injunctive relief to enforce a violation of the statutory provisions, some might argue that the Court gutted the protections provided by Congress in reaching the carefully crafted compromise. However, the Court nevertheless offered a few rays of hope. In footnote 2, when it “express[ed] no view” on an alternative theory on which an injunction might issue under a different provision for this same violation of the statute. The Court also remanded for potential resolution under state law. The answer to these questions will no doubt be left unresolved by the Court for many more years. Finally, it is worth mentioning that Justice Breyer’s concurrence is a foreshadowing of the battle we can expect to see next year (in SAS) over the continuing viability of the Chevron doctrine. 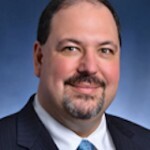 Charles R. Macedo is a partner with Amster Rothstein & Ebenstein LLP. He litigates in all areas of intellectual property law, including patent, trademark and copyright law, with a special emphasis in complex litigation and appellate work. The Court’s Sandoz v. Amgen decision gutted a statute that had been carefully crafted to facilitate timely resolution of patent disputes and avoid delaying market entry of biosimilar products. In holding that a biosimilar applicant cannot be compelled through federal law to engage in the patent dance, the Court effectively gave biosimilar applicants a license to hide the ball. Given the complexity of biologics and biosimilars, it can be very difficult for an innovator company to reasonably determine which of its patents might be infringed by the biosimilar. Now, potentially meritorious patent infringement questions could be kicked far down the road. This could lead to delayed launch of the biosimilar product, possibly through a decision not to launch at risk or possibly by way of injunctive relief outside the BPCIA. Notably, the Court directed the Federal Circuit to decide on remand whether Amgen may have relief available to it under California unfair competition law. Second, by ruling that the 180-day commercial marketing notice can be given at any time, the Court rendered this provision effectively meaningless. The 180-day commercial marketing notice provision was designed to initiate a second phase of patent litigation, and the statute specifically contemplated the availability of injunctive relief. See 42 U.S.C. s. 262(l)(8)(B). Under the Court’s ruling, a biosimilar applicant could give its marketing notice well in advance of launch. In such a circumstance, an innovator company would likely face quite the uphill battle in obtaining injunctive relief. Moreover, the Court’s interpretation of the statute makes it unclear what recourse an innovator company would have in the event that a biosimilar applicant chose not to provide its commercial marketing notice 180 days prior to marketing, or even at all. 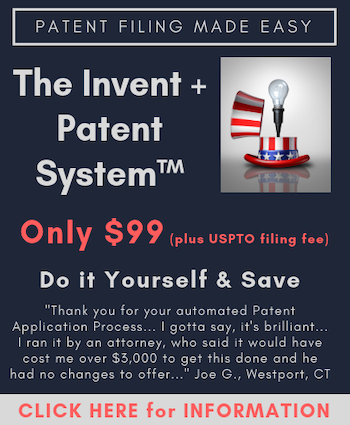 If injunctive relief is not available when an applicant disregards the directive that it “shall provide” a copy of its application to the innovator company (s. 262(l)(2)(A)), can we really feel confident that it will be available if an applicant disregards the directive that it “shall provide” its commercial marketing notice (s. 262(l)(8)(A))? In sum, the Court’s decision creates greater uncertainty for innovator companies, biosimilar companies, and the public. Instead of the streamlined process contemplated by Congress, what we will see now is an increase in litigation and potentially delayed access for patients to biosimilars. Melissa Brand is Associate Counsel and Director of Intellectual Property Policy at the Biotechnology Innovation Organization (BIO). Justice Thomas has now delivered the U.S. Supreme Court’s unanimous opinion in Sandoz v. Amgen – a big win for companies working on biosimilar drugs. In this landmark decision, the Court sided with Sandoz (reversing the Federal Circuit) holding that notice of commercial marketing may be given prior to FDA approval under the plain language of Section 262(l)(8)(A) of the Biologics Price Competition and Innovation Act (BPCIA). Consequently, companies seeking biosimilar approval may well give marketing notice before receiving approval, thereby allowing a quicker launch. The decision will likely lower prescription drug costs and, thereby, expand patient access to life-enhancing drugs. The Court also held that violations of Section 262(l)(2)(A) of the BPCIA are not enforceable under federal law. Nonetheless, the Court stated that an injunction might be available under state law, though such a state-law injunction might be preempted by federal law. The Court remanded both of these questions to the Federal Circuit to reconsider. Aubrey Haddach is a member in Dinsmore & Shohl LLP’s Intellectual Property Department who represents clients ranging from small businesses to Fortune 500 companies. Her technical knowledge encompasses chemistry, pharmaceuticals, biotechnology, medical device, agrochemical and oil/gas industries. The practical effect of the decision will be to permit biosimilar applicants to bypass the requirements of the “patent dance,” and to proceed to declaratory judgment in federal court shortly after the filing of an aBLA. The Supreme Court did not reach the question of whether Sandoz’s non-compliance with Section (l)(2)(A) is “unlawful” under state law. It remains to be seen what state law claims survive to spur enforcement of the Section (l)(2)(A) notice requirements. Christopher Loh practices complex patent litigation in the areas of pharmaceuticals, biotechnology and chemistry. Over the past fifteen years, he has litigated patent cases involving anti-HIV therapies, anti-hepatitis drugs, antidepressants and statins, including as lead counsel. The Supreme Court’s decision, the first to interpret the US biosimilars statute, holds that (1) the requirement to provide innovators with the regulatory application for the biosimilar product and manufacturing information, the first step of the so-called patent dance, is not enforceable under federal law, and (2) a biosimilar maker can provide its notice of commercial marketing at any point, eliminating a defined statutory period to litigate patent disputes. The decision forces innovators to litigate blind in cases where biosimilar makers do not disclose their regulatory application and manufacturing information. But in the long term, biosimilar makers are likely to follow the patent dance in most cases given the significant benefits of following the statute. As for the notice of commercial marketing, biosimilar makers will undoubtedly provide it prior to approval. Irena Royzman concentrates on biotech and pharmaceutical litigation and is Co-Chair of the Patterson Belknap Webb & Tyler LLP Biotechnology Practice. I know little about biosimilars and what the patent issues might be, but after taking one look at that statute…. Who drafted it? Congress, industry, who? The problems people complain about are all due to poor drafting, period. I think everyone needs to go back to the drawing board and come up with a fixed statute that addresses all the issues identified by the courts and ask Congress for help. The BPCIA (the statute that gave us biosimilar regulatory procedure) was part of Pres. Obama’s Affordable Care Act (enough said). The legislative goof-ups of that act were legend. In a sane world, the Congress would work together to fix some of the more obvious drafting errors and rough spots in the legislative text that lead to confusion and litigation. Unfortunately, that the world in which we live is only very occasionally sane.